The correct answer is 5 minutes. But if you didn’t get this, don’t worry, you are in good company. A lot of people get it wrong. If you didn’t go for 5 minutes then you probably said 100 minutes. That’s because the question is designed to suggest this intuitive, but incorrect, answer. This question is one of three that form the Cognitive Reflection Test (CRT), a technique designed Shane Frederick in 2005 to measure people’s ‘thinking style’ and ability to override intuitive or gut decisions (System 1) and use reflection and deliberation (System 2) to find the right answer. Following the EU referendum, and in partnership with City, University of London and Populus Data Solutions, house51 asked a representative sample of 2,065 eligible UK voters to complete the Cognitive Reflection Test to understand the dynamics of the UK electorate’s thinking style. Our results show that intuitive, non-reflective thinking is the norm in the UK. On average the UK population only scored 1 out of 3 on the CRT. This means most people find it difficult to override their automatic (System 1) gut impulses, and take the time to consciously pause for reflection. 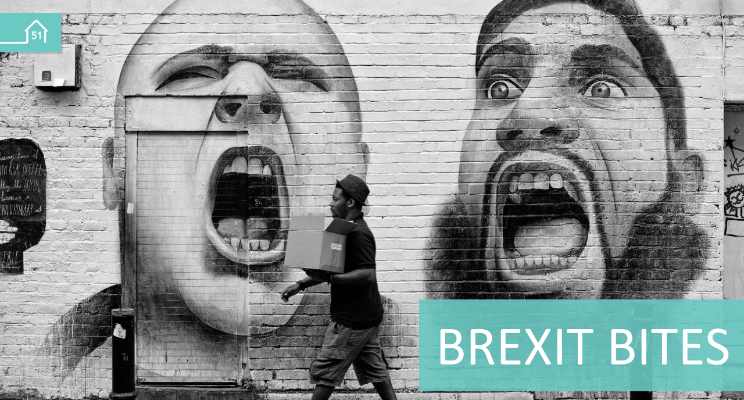 What does the CRT say about the psychology of Brexit? Our findings show that the thinking style of most people in both referendum camps is intuitive, rather than reflective. However, remain supporters did score significantly better on the test. 56% of leave supporters scored 0/3 on the CRT compared to 45% of remain supporters (p <0.01) . At the other end of the scale just 9% of Brexiters scored 3/3 compared to 16% of remainers (p <0.01). So voters bias towards intuitive thinking styles suggests some answers for why the Remain campaign failed to engage and the leave campaign succeeded in mobilising sections of the electorate that rarely vote. It also has serious implications for the strategies that policy makers use to engage the public and the future conduct of political campaigns. The Remain campaign seriously misjudged the electorate’s appetite for absorbing the detail of rational economic arguments. ‘Stronger In’ failed to frame its discourse in a way that demonstrated how EU membership benefited people in what matters to them in their everyday lives. The economic arguments appeared abstract. The campaign failed to leverage emotive messages aligned with the dominant intuitive cognitive style of the UK population. Conversely, Vote Leave’s ‘Let’s take back control’ was powerfully framed in a way that appealed to voters’ instincts. It fitted with their real world psychology – a feeling of a need to take action – but, without defining the consequences of this action. Since the vote, there has been much media debate about how to communicate with people in a ‘post-truth society’. Our results on people’s thinking style do not suggest that facts are obsolete or that they are incompatible with people’s intuitive thinking style. Drawing that conclusion has dangerous implications for the functioning of democracy. However, the results do suggest that government, business and media have a responsibility to find more emotional and engaging methods of delivering the facts and making them salient in order to engage everyone as citizens in determining the course of Brexit Britain. The CRT was part of a wider survey designed to examine the psychology behind Brexit. It was conducted by house51 in collaboration with City, University of London. Fieldwork was conducted by Populus Data Solutions via an online survey with a nationally representative sample of 2,065 UK eligible voters, Data was collected in August 2016.